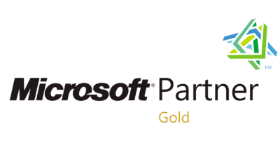 As a member of the International Association of Microsoft Channel Partners Canada (IAMCP), we are delighted to be nominated as a finalist for the IAMCP Cloud Partner award (Canada). 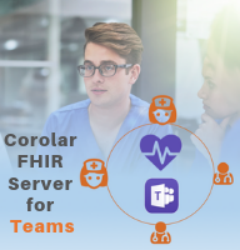 Our award entry focused on our partnership with Cogniciti with whom we developed an Online Brain Health Assessment Tool on the Microsoft Azure platform. Cogniciti’s mission is to bring science-based brain health solutions to people, businesses, and governments around the globe. These solutions are badly needed to help the millions of adults with significant memory concerns receive earlier assessment, diagnosis and treatment, and to help individuals with healthy brains cope with the memory challenges that come with normal aging. Cogniciti aims to help family caregivers provide better support to loved ones with dementia throughout the continuum of care. With access to the right tools and information, healthcare organizations and service providers can decrease the costs associated with the delivery of cognitive care to an aging population. As the leading software IT partner, we developed the solution on .Net Technology while ensuring the front-end of the project is user-friendly and responsive to all screen resolutions, specifically addressing the needs of individuals of advanced years. Working directly with the Cogniciti research scientists in a collaborative effort, our development team was able to utilize an agile approach to ensure requirements were well understood and delivered quickly to production. With special thanks to our client Cogniciti for supporting us in this endeavor, we have the pleasure of attending this year’s Microsoft Worldwide Partner Conference (WPC), held in Florida in July. For more information on our nomination, please read the full press release.